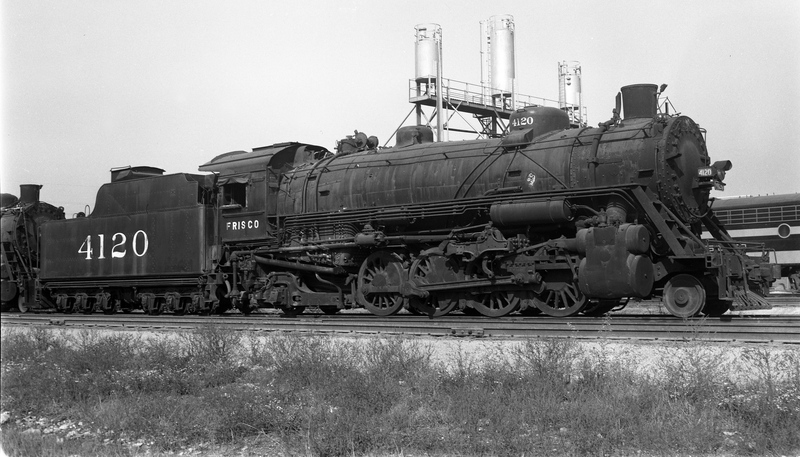 2-8-2 4120 at Springfield, Missouri on October 19, 1952 (Arthur B. Johnson). A Frisco survivor – Gondola 64048 at Pasco, Washington on May 10, 1997 (R.R. Taylor). Less than one year later 64048 has returned to the Midwest as seen here at Lenexa, Kansas on January 17, 1998 (R.R. Taylor). 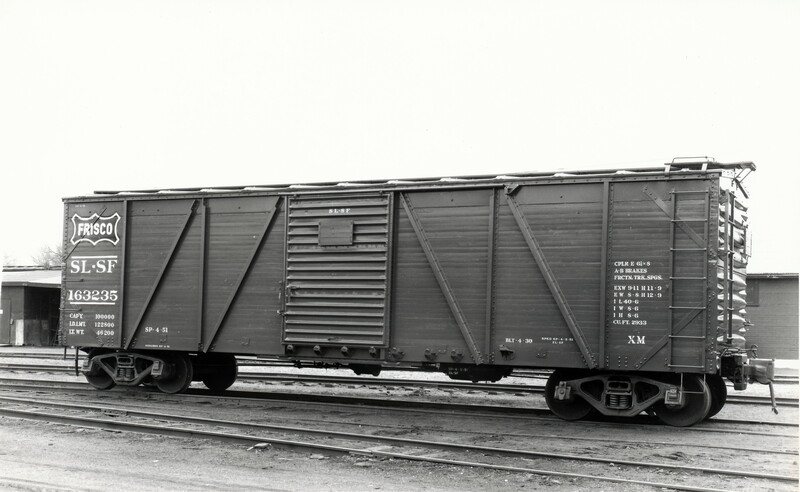 Outside-Braced Boxcar 163235 (date and location unknown). The car was built in April 1930. 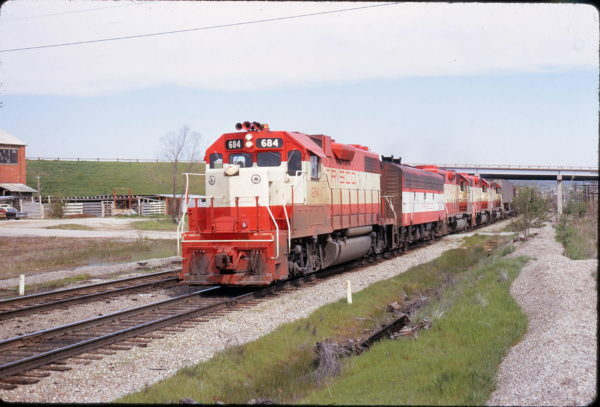 GP38-2 684 at Sapulpa, Oklahoma in April 1973 (John Nixon).